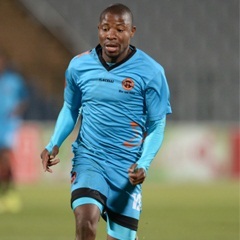 Cape Town - Goals by captain Jabu Maluleke, striker Puleng Tlolane and midfielder Cole Alexander gave Polokwane City a deserved 3-0 win over Bloemfontein Celtic on Saturday afternoon at Peter Mokaba Stadium. City bounced back to winning ways after their 5-0 defeat at the hands of reigning league champions Mamelodi Sundowns on Wednesday night. The victory takes the Polokwane side to position seven with 32 points, while the visitors are placed at sixth with 33 points. In the 64th minute, after coming from the half-time break, Rendani Ndou took a shot but his effort went wide of Tignyemb's posts. A minute later, Musa Nyatama took his shot and goalkeeper Modiri Marumo parried the effort to safety.